Time is the world’s most valuable commodity, they say. Yet we seem to “spend” more and more of it, with very little time left to take care of our own well-being and health. Which is where meditation comes in with it’s ever increasing number of benefits. Meditation can help treat anxiety, depression and adhd, plus help boost your concentration, reduce stress and strengthen your immune system – just to name a few. Meditation will also make you feel more relaxed and centered, help you make better decisions, get more done in less time, and help you make some fundamental discoveries about the nature of the mind. And then comes the paradox: in a time of less and less time, how can we manage to also make room in our lives for meditation? It might be helping us get more done in less time, but how do we fit it into our schedule in the first place. 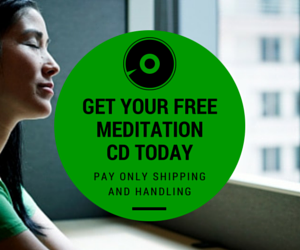 Here are 5 simple ways you can incorporate, starting today, to make time for meditation. Research shows that meditation can help increase the quality of your sleep, so sleeping 20 minutes less in exchange for 15-20 minutes of meditation might be a good sacrifice (especially if you have sleep problems to begin with). Set your alarm 15-20 minutes earlier than usual, get out of bed, sit yourself down comfortably (a chair will do just fine), and meditate. Feel free to try and meditate with your eyes a little bit open, of closing them makes you sleepy. This one is easier if you have your own office, or can go outside to sit on a bench undisturbed. Make sure you know beforehand what you’re gonna eat by preparing a lunch to bring with you to work or school. Then use the remainder of your lunch break to give yourself a “mental rest” before continuing with your day. If you keep a to-do list, put meditation on the list. The simple act of reminding yourself to make room for meditation can go a long way. Maybe it feels hard and stressful to add yet another task to your list. But don’t let this hinder you. Instead try to both “trim down” your to-do list (for example: “What tasks, when removed, will result in the world still spinning?”), and prioritize the top 3 things you need to get accomplished. Then make a commitment to complete you top 3 priorities first, which in turn often frees up time and energy for meditation. Throughout the day you might have gaps in your calendar. Grab one of these gaps every day, and schedule a meditation session with yourself. It does not have to be any longer than 10-20 minutes, and you’ll be happy you did it once it’s done. If you commute with a car, play a guided meditation on your car stereo. If you travel with public transport you can either just close your eyes and meditate (people will think you’re napping, so don’t worry about being “spotted), listen to a guided meditation, or fire up a meditation app on your smartphone. 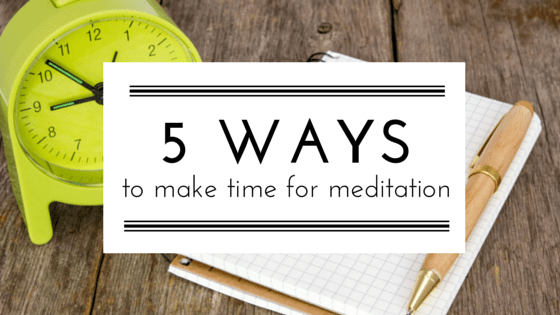 There you go, 5 ways to make time for meditation. 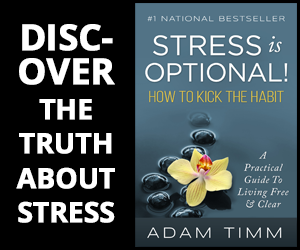 With these tips in hand, I am sure you can find at least one way to make it easier to meditate every day. Please share, and don’t forget to leave a comment with your own meditation scheduling experience.